The Sundance and Tribeca Film Festivals are behind us. Though here in New York we were still wearing coats after Easter, I am hoping this is now also a thing of the past and that May arrives with spring weather, fully loaded with flowers, and the start of the summer movie season. 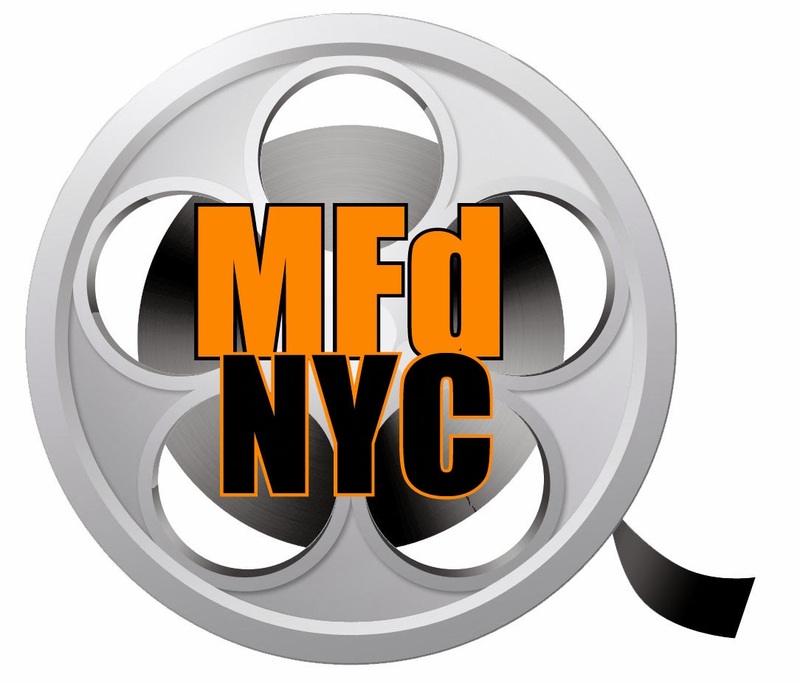 This May brings us an eclectic mix of films with a few award caliber entries (The Immigrant, Belle and Ida), the beginning of the summer blockbuster season (The Amazing Spiderman 2, X-Men: Days of Future Past and Godzilla), and a few comedies to smooth out the edges (Walk of Shame and Neighbors). Hoping to capture some of the magic that made The Wedding Singer and even most of 50 First Dates enjoyable, Drew Barrymore is back with Adam Sandler for the romantic comedy Blended. Directed by Frank Coraci (Murdered Innocence, The Wedding Singer, The Waterboy, Click, Zookeeper, Here Comes the Boom), from a script by Ivan Menchell and Clare Sera. After a disastrous blind date, single parents Lauren (Barrymore) and Jim (Sandler) agree on only one thing: they never want to see each other again. But when they each sign up separately for a fabulous family vacation with their kids, they are all stuck sharing a suite at a luxurious African safari resort for a week. X-Men: Days of Future Past is directed by Bryan Singer and written by Matthew Vaughn and Simon Kinberg. 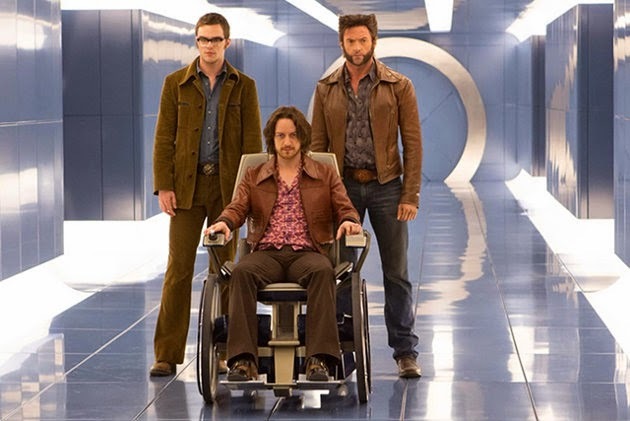 The sequel features cast members from the original X-Men franchise like Hugh Jackman, Patrick Stewart, Ian McKellen, Halle Berry, Anna Paquin, Ellen Page, Shawn Ashmore and Daniel Cudmore along with X -Men: First Class cast members like James McAvoy, Jennifer Lawrence, Nicholas Hoult, and Michael Fassbender. The present day X-Men are in danger from a mistake in the past, and Wolverine is sent back in time to fix it in order to avoid a dark, terrifying future timeline. 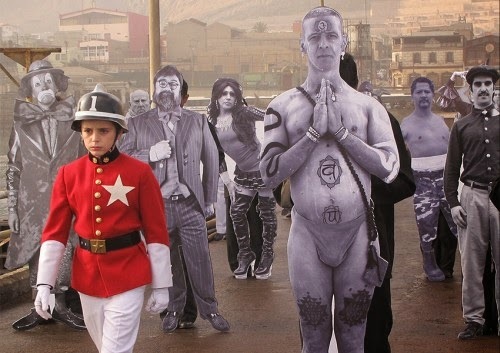 The Dance of Reality, Alejandro Jodorowsky’s first new film in 23 years, is a sort of oddly whimsical biographical look back at his own upbringing in Chile. For those unfamiliar, Jodorowksy is a Chilean filmmaker behind El Topo and Holy Mountain and is the subject of the outstanding doc Jodorowsky’s Dune. Starring Mia Wasikowska (Jane Eyre, Stoker) and Adam Driver (“Girls”, Frances Ha, Inside Llewyn Davis), directed by John Curran (The Painted Veil, We Don’t Live Here Anymore) and from the producers of The King’s Speech, Tracks is based on the inspirational and iconic true story of Robyn Davidson. Robyn’s phenomenal solo trek from Alice Springs to Uluru and on to the Indian Ocean saw her traverse 2,700 km of spectacular yet unforgiving Australian desert accompanied only by her loyal dog and four unpredictable camels. Set against one of the wildest, most dangerous and most breathtaking backdrops on the planet, this unprecedented journey pushed Robyn to her physical and emotional limits and taught her that sometimes we have to detach from the world to feel connected to it. Prep school English teacher Jack Marcus (Clive Owen) laments his students’ obsession with social media and good grades — as opposed to rigorous engagement with language. A one-time literary star, Jack has not published in years. In short, Jack has much to despair of, and when Jack despairs, Jack drinks. Meanwhile, Dina Delsanto (Juliette Binoche) is an abstract painter. Like Jack, she was once celebrated for her art, but the onset of arthritis changed that. Jack finds Dina attractive but icy, and their differences might spark an unlikely romance.